Easy to install and remove (no ties needed); machine washable – cold cycle - Standard colour: black with silver white stitching. 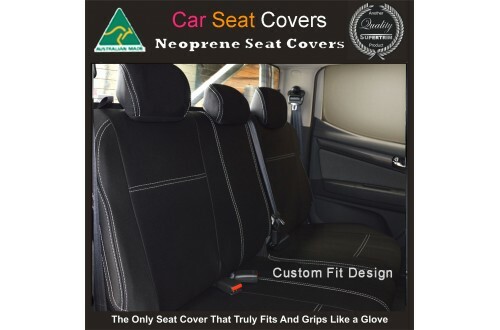 Other stitching colours are available – see photo (at an extra $15) and allow additional 3-7 working days - Standard design: fully covers the front, sides and 1/3 of top section of the back of the seat. 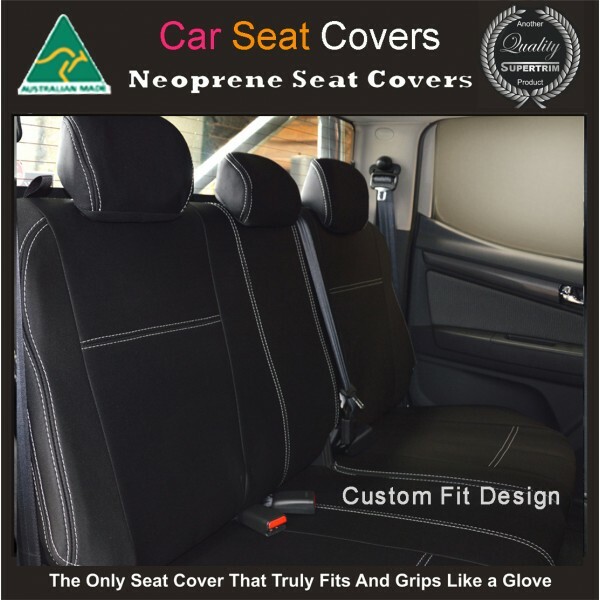 14 day Money Back Guarantee and 12 Months Warranty Please provide your car details below.